It has been said that “it’s not about the destination but the journey” and for me this has truly been a journey of discovery over the last 30 years. First up, let’s get it right! It is pronounced “saKAY” as in “oKAY” not “saKEY” as in “KEY”. OKAY! For 30 years, I have been drinking sake, and through that, you could say that I have been drinking Japan. Japan and sake are a part of me. My first mouthful of sake consisted of something heated to a nuclear temperature that had been stored for way too long in a Sydney Japanese restaurant. This “rice wine” was yellow in colour and if it wasn’t for the fact that I was trying to show off my new interest in Japan to some Japanese friends I probably would have spat it out on the spot. The year was 1984. There were only about 12 Japanese Restaurants in Sydney. The Japanese expat community was thriving and Japan was the flavour of the generation. It was before the “bubble” and the Japanese economy was booming. It was completely by chance that I discovered Japan. I saw a small piece of paper pinned to the noticeboard at Tokyo Mart, which asked, “Why not learn Japanese?” Asking myself that exact same question, I began my journey. There were no sushi train franchises and one had to go to the small handful of Japanese restaurants for good sushi. It was there that many Australians had the same experience with sake as I did, and for many it was not a positive start. 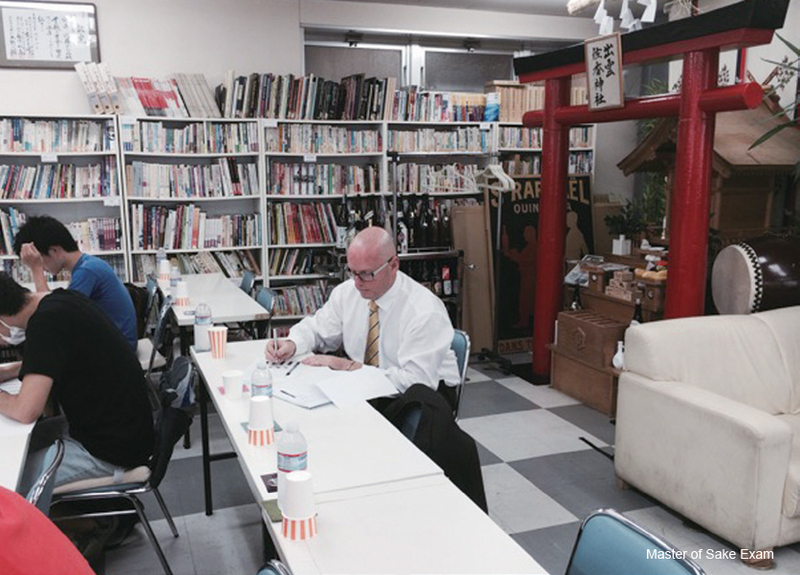 Fast forward to August 2014 and on my 50th trip to Japan, I am sitting at the back the exam room at the Sake Service Institute in the North Ward of Tokyo, the only non – Japanese in a group of 25 sitting the exam for Master of Sake. This was an extensive examination about a Japanese national drink, the product of 1000 years of culture and history. 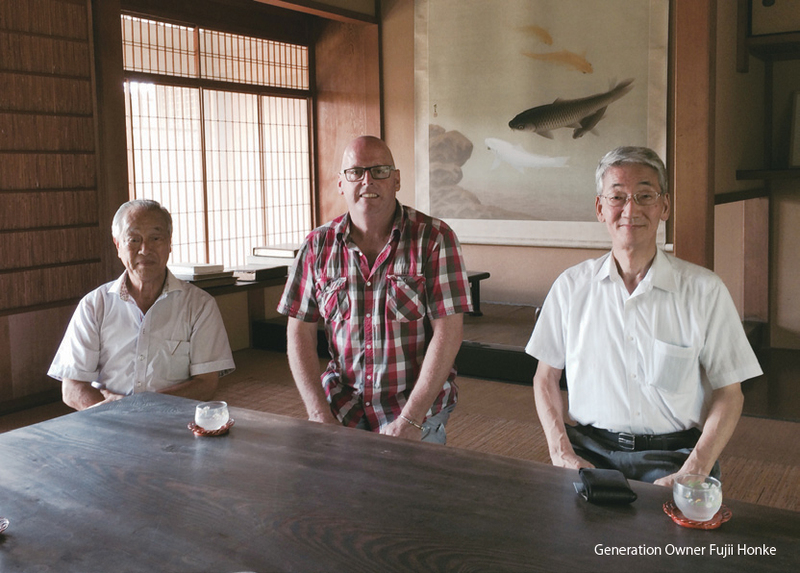 Given the precision and attention to detail needed to manufacture sake, it is little wonder that few outside of Japan have excelled in replicating the successes of the locals. This was the culmination of my long relationship with sake. The true value of our relationship only really came to me at a small Izakaya in Ishinomaki, Miyagi Prefecture in October 2013. Ever since the devastation of the combined earthquake, tsunami and nuclear disaster which hit the North East region of Japan in 2011 I had wanted to do something to at least show support to the people of Tohoku. In late 2013 a corporate restructure and consequent redundancy gave me that chance. 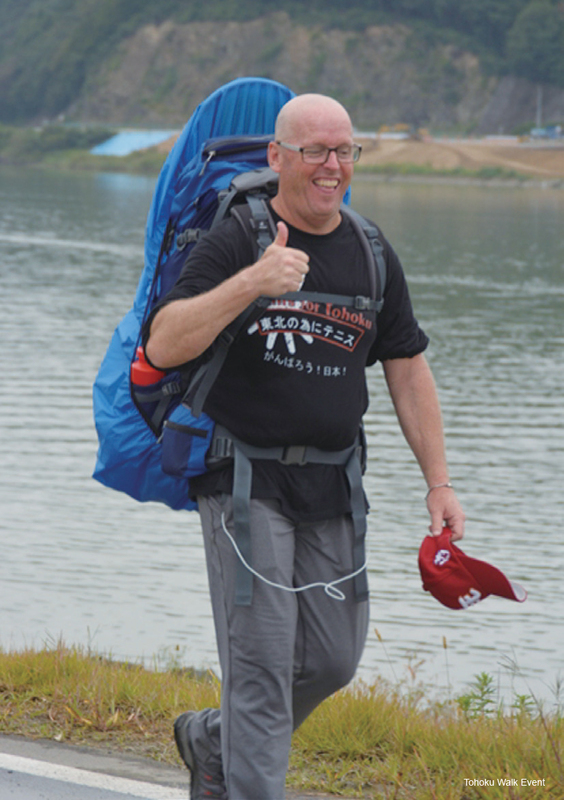 I planned and completed a 309km charity event walking from Fukushima City to Ofunato in Iwate Prefecture. To see and experience the effects of one of the largest natural disasters to occur in modern history is something that will stay with me forever. It was Saury mackerel season and as I ate my fish and enjoyed a magnificent cold glass of Ichi No Kura (The One Brewery from Miyagi) overflowing into the lacquered box it stood in. I thought back on that first mouthful of burning hot liquid in 1984. How could this and the drink from 30 years ago be the same thing? Australians had to know more about this – they needed to know – and it was my duty to give them the chance to attain this same enjoyment. That day had been filled with talking to locals about what had happened on that fateful day of March 11 2011 and here I was drinking Ichi no Kura’s “tokubetsu junmai shu karakuchi” which was not even their flagship sake. How could something that made from rice and water (with the help of a yeast starter and a very clever little mould) turn into something that was giving me so much joy on what had been a day full of sadness and reflection? This amazing liquid is produced under the scrutinising eye of the Toji (master brewer) and his Kurabito (brewery team). At more than 1300 breweries around Japan, these artisans live, breathe, eat, sleep and dream of the perfect sake, toiling throughout the winter months between October and February to fulfil their vision. Upon returning to Australia I spent endless hours studying and trawling through books, academic papers and online resources about sake. The world of sake opened up before me with world renowned experts like John Gautner. I spent time with as many people from the sake industry as I could, both here and in Japan. There are too many to mention here, but I am forever indebted to them for their friendship, advice and shared passion in taking this marvellous drink to the world. I found that even though I had been drinking sake for so long, I still knew very little about it. The next step before my exams was to visit the breweries themselves. With the exam being held in August it was not really the best time for the brewery visits but as always over my 30 year affair with Japan I was welcomed with open arms. 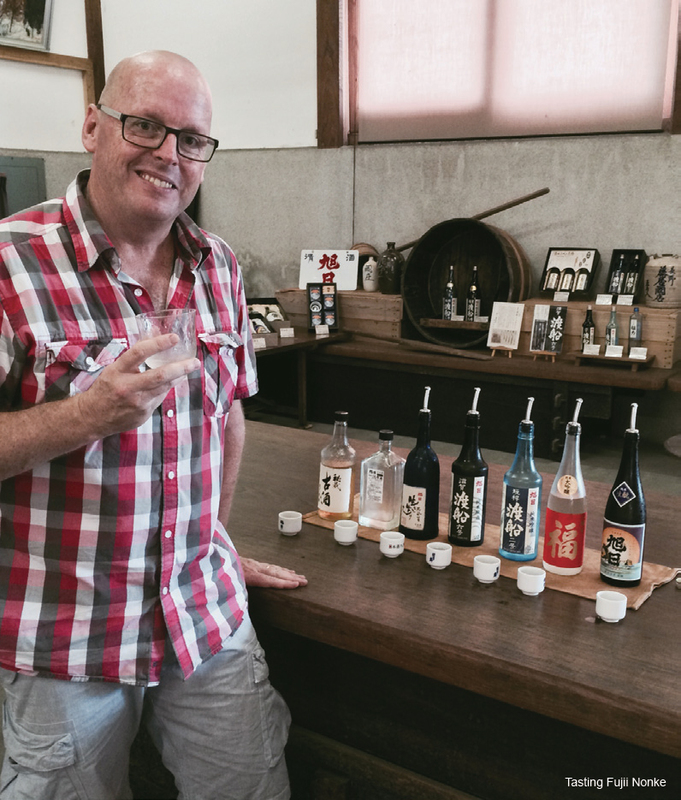 The domestic market for sake in Japan is going through tough times as the younger generation find funkier drinks to keep them entertained, or just don’t drink at all. So the Government and industry are identifying overseas markets as a growth area for Japan’s national drink. Only 2% of all sake made is exported and when you consider the standing that Japanese cuisine has around the world that is a low figure. I was given one-on-one tours at breweries like the Fujii Honke in Shiga Prefecture. There, hosted by the 7th Generation owner, I tasted and discovered sake from a brewery that has been producing sake for the Emperor for hundreds of years. The taste of the cold water used at Fujii Honke filtered subterraneanly from nearby mountains over a period of a hundred years was a surreal experience. I never imagined water could taste that good. I delighted in drinking the Soku brand sake out of Fujioka Brewery in Fushimi Ku Kyoto, home arguably the most famous water in all of Japan. I was also amazed by the award-winning Tenzan in Saga, before finishing off my pre- exam journey at the Japanese Sake All Stars in Kyoto, where I tried 32 different sakes from 5 different breweries. As I wrote the answer to the first question in the exam I pondered my relationship with sake and Japan. We had both come such a long way. When I first went Japan, if I wanted to make a call home to Australia I had to use the pink phone and drop ten yen pieces in the box; my apartment had no hot water so it was easier to use the sento (public baths) each day and writing home meant doing so on a piece of paper, attaching a stamp and going to the post office. It was a different time. It was a different time for sake and sake grading too . It was the time of NIkkyu, Ikkyu and Tokkyu (Second, First and Special Grade). These days it is words like Junmai, Ginjo, and DaiGinjo as the making of sake became more refined and more sophisticated. The test results are out and I passed, but I feel this is just the beginning. I walked out of the classroom as a Master of Sake but this is just a part of my lifelong relationship with sake and Japan. After all it is a piece of paper and sake is deeper than that. Tasting the unique flavours and smelling the aromas of fruits, nuts and flowers contained within this liquid, it’s little wonder that they call this the drink of the god. Don’t overthink sake, just enjoy it. Sake’s time is at hand and no longer should it be misunderstood. It is not a wine, liquor, liqueur or beer. It is in a category of its own, and it deserves respect and appreciation. Maybe we need a few more Masters of Sake to spread the word. I may not be able to enlighten you but I can certainly put you on the right path to discover more about sake . All you need to do is contact me on sydneysakeschool@gmail.com.